Experien provides insurance advice to many doctors, dentists, accountants and other professionals. Nothing is more important than the support we give with any claim payments. Whilst no event leading to a claim is ever good news, we are proud that we ease the financial burden that inevitably arises when something goes wrong. Here are just a few stories of clients we have been able to assist. We helped this client obtain cover in May 2014. The client contacted us on 23 October 2015 having been diagnosed with breast cancer and she was not sure when she would go back to work. The claim was approved on 26th November 2015 with a trauma benefit of $289,406 paid onto her account within a few days which is a very quick turnaround. In addition, her income protection policy is likely to pay $42,000 as an initial upfront benefit (and ongoing if need be).The client was delighted that she would have no financial worries as she embarked on the challenging journey for her treatment and she is also able to comfortably meet her ongoing loan repayments. This dental client of Experien started experiencing severe back and hip pain. She owned her own dental practice and was unable to continue working due to the pain. The client had visited over 7 medical specialists to find the cause of the pain. As she was already off work for 3 months, we assisted with lodging her claim and she was paid 3 months immediately, and the claim is currently ongoing for a monthly benefit of $8,000. The insurer wasn’t going to pay the claim originally as the client was going overseas for alternative treatment and the insurer couldn’t verify the qualifications of the medical professionals she was going to see. The client also didn’t follow through with a number of the treatment plans that the doctors in Australia suggested, so was seen as not being compliant. Experien negotiated the claim on behalf of the client and was able to get it paid. This client had elective surgery, but got a severe infection and was bed bound in ICU for some time due to complications. He had income protection cover with a 14 day waiting period. Under the “Bed confinement benefit” he was paid $6,000 from day 1 up until day 14 of his waiting period and also one monthly income benefit of $13,000 to help him with his recovery at home whilst he was off work. It is likely the client will return to work without needing to claim a second month, but the claim is open just in case. He also received a premium refund of $500. This Dentist fell whilst travelling overseas and suffered a fractured foot. The local Orthopaedic Surgeon advised that she could not travel due to Deep Vein Thrombosis and other risks, and also needed at least 6 weeks off work to recuperate. As she is self employed, she relies on her income each week to cover her expenses and lifestyle costs. She is insured for $13,000 per month and her adviser has secured this income protection payment claim to be paid each month. Experien Insurance helped this client with a professional indemnity insurance policy in July 2015 and we received a claims notification on 29 September. The Dentist had a patient with partial numbness of the tongue after the extraction of a wisdom tooth. The patient was referred to an Oral Maxillo-Facial Surgeon for subsequent treatment options and the patient will be undergoing exploratory surgery to reattach a nerve. On 27th Oct the Dentist returned the completed claim forms and on the 10th November the insurer approved the claim and sent a cheque to the Dentist for $3600. 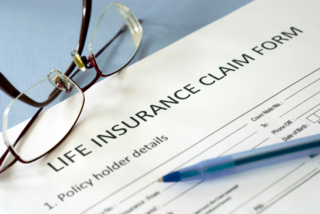 This GP in her mid 40s took out an Income Protection policy with the help of Experien in 2014. She was diagnosed with breast cancer earlier this year and is currently going through chemotherapy. She has been off work since she commenced treatment. When she was first diagnosed, she contacted the insurer directly (MLC) but she struggled to complete the required forms to have the claim approved. After eventually contacting Experien, we were able to explain the terms of her insurance including waiting periods and assisted her in lodging the claim which was then paid. In the second month of the claim, the insurer requested more information from the client, which she struggled to arrange by herself. Experien helped once again to get the second month paid. The insurer requested more information in the third and fourth months, and again Experien ensured the claim was continued to be paid. She has received 4 monthly benefits of $6500 so far and the claim is ongoing while she is undergoing treatment. This client is a surgeon and had Income Protection and Business Overheads in place. He was doing some work at home in the yard and fell, fracturing his foot. He was certified for 6 weeks off work. He is self-employed, so each day he does not work is financially material. Within a few days, one of our advisers arranged for him to be paid for 6 weeks in advance on both policies which enabled him to pay his home loan repayments plus regular living costs. It also enabled him to pay his fixed expenses at the practice. He was delighted at the result. The outcome was enabled by having a solid policy in place – particularly suiting his occupation and needs. Normally there is a wait period of say 4 weeks on these policies, but we included a certain feature which meant it paid him from Day 1. He was very happy with the outcome and the speed in which it was delivered. Since then he has called and asked if we can look at reviewing his Practice Business Insurances which are up for renewal. We are helping with that now. A client with Income Protection cover had a gastrectomy operation, which is a partial surgical removal of the stomach. The client is an surgeon and will be off work for some time. Their policy will pay them the equivalent of $15,000 per month whilst they are recovering and unable to work. This chiropractor was unable to work after a back injury. The initial surgeon he saw told him that he would never work in his own occupation again. He has been on heavy pain medication since then and is now due to have surgery. Prior to the injury, Experien fortunately set him up with an agreed value income protection policy with an ‘own occupation’ option. His income had reduced since taking up the policy but he was paid a higher monthly benefit than his current income because of the agreed value option. He is currently on an income protection claim for a monthly benefit of $8,000 and business expenses claim for a monthly benefit of just under $20,000. This Experien client fractured her shoulder in a bicycle accident. She was still able to work part time as a GP but only carry out limited duties, not all procedures. She wasn’t planning on making a claim as she could still work part time. However, the insurance team noted that because it was a defined specific injury – she could claim. We lodged the claim with the insurer and she was quickly paid out a total of $42,000. This Doctor was walking into his practice in late November and brutally attacked by an unstable patient. He suffered bruising to the face and shoulder and required an operation to put screws into his one leg. The client’s wife called us a few days later and told him what happened. We comforted her and contacted the insurer immediately on her behalf. Within 15 minutes, the insurer contacted his wife and emailed through the claim documents. We went to their home – as he had come back from hospital – and assisted him with the claim forms. The client will be recuperating and unable to work for 12 weeks. The insurer received all the required claims forms on the 16th December and the claims was paid on 31st December. So far he has received two monthly payments to compensate him for not working and this will continue for as long as he is off work. This client had income protection insurance with Experien as the broker. He cancelled his policy without contacting us, and replaced it with a cheap direct policy (which covered him for 2 years only). 3 weeks after he cancelled his income protection policy which he had through us, he had an awful accident which has left him partially blind and unlikely to ever get full eyesight back. Unfortunately for him, he would have been covered to age 65, but instead will only be covered for 2 years. Heavy rain caused damage to the roof of the building the client works in. This damaged a room housing a treadmill and wireless ECG used for cardiac function assessments. This caused immediate revenue loss as they couldn’t operate to full capacity, losing approximately $2,000 per day. This qualified for a business interruption claim, and the client was paid out over $57,000. This shows why a practice needs practice indemnity insurance cover in addition to each individual doctor needing the cover. The claim was against a surgical suite. A client was referred to a general surgeon who works from that practice. The client had a melanoma on his left shin. The referral contained pathology results and photos. The referral was received by e-mail on 7th May and a subsequent “amended pathology” report was also received a day after. The subsequent report was attached to the patient file but not brought to the attention of the treating doctor. When the doctor saw the patient and made a decision regarding treatment, she did not take into account this addition pathology information. The patient was operated on the following week. Had the doctor been aware of the extra information then she would have also performed an additional lymph node biopsy. As a result of this oversight, the patient has to have further surgery to obtain this biopsy and is lodging a claim of negligence. This claim will be brought against the practice (who provided the services) rather than the treating doctor (who was not made aware of the information by the administration services of the practice). The practice indemnity insurance would meet the costs of a claim whereas the practice would be liable for the costs if they didn’t have such cover. After recently setting up a policy for our client, they advised that they had driven off with their laptop on the roof of their vehicle. We were able to arrange for the funds for the replacement to be deposited into the clients account within 3 days of the incident which allowed the client to replace the laptop within a week. A client of Experien referred one of their patients to us to get cover. This patient previously had trouble obtaining any cover because of poor health and high blood pressure. Experien was able to obtain cover. He was later diagnosed with lymphoma cancer and was paid $350,000 on his trauma policy, plus his income protection policy as he will require 12 months off work. He is in his early 40s and breadwinner for his young family, with a wife and 3 young children who are heavily reliant on his income. This client went water skiing and fell badly and fractured her ankle. As a Vet, she could not work and see the pets/animals until she had fully healed. We ensured that she was paid for her time off, and this was partly used to pay her goodwill loan repayments. She had recently purchased her deceased partner’s share of the business and funded this via the loan.